I took last Friday off to work on things around the house. Instead, I visited my favorite u-pick as it rained and the weather was beautiful. I'm easily distracted. I ended up picking blackberries the size of quarters, raspberries, and blueberries for 3 hours. Ok, I admit, I ate some too. 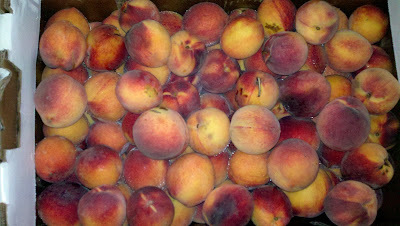 When I went to pay for my goodies, the farm employee asked me if I wanted any peaches. Um YES! Around our state, our fruit trees bloomed early and then were killed off by a late frost. So to help this farm out, a sister farm from Missouri brought their peaches for us peach deprived to enjoy. I bought a lug, that is a 1/2 bushel and they were delicious! My daughter could attest to that as she has eaten 8...that I counted. She may have snuck some in without me knowing but it is difficult to discourage her from eating fruit. On my way home from the farm, thoughts or wonderful peach recipes were running through my head. I ended up making raspberry and peach jam, peach nectar, frozen peach slices for smoothies and canned diced and sliced peaches. For all of these recipes, one thing must happen. The peach must be peeled. 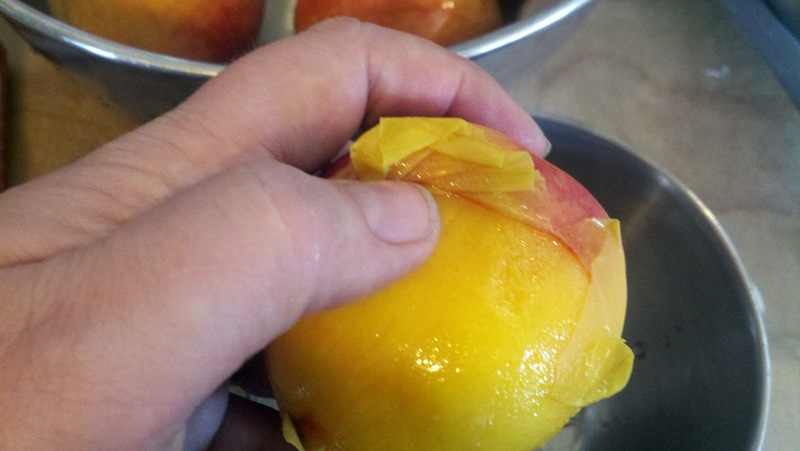 If you haven't peeled a peeled a peach before, you would be surprised how easy it is to do. Much like peeling a tomato, it only requires three steps. 1. 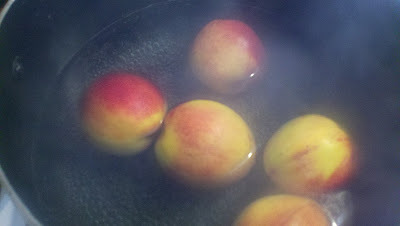 Place peaches in boiling water for 30-60 seconds. 2. 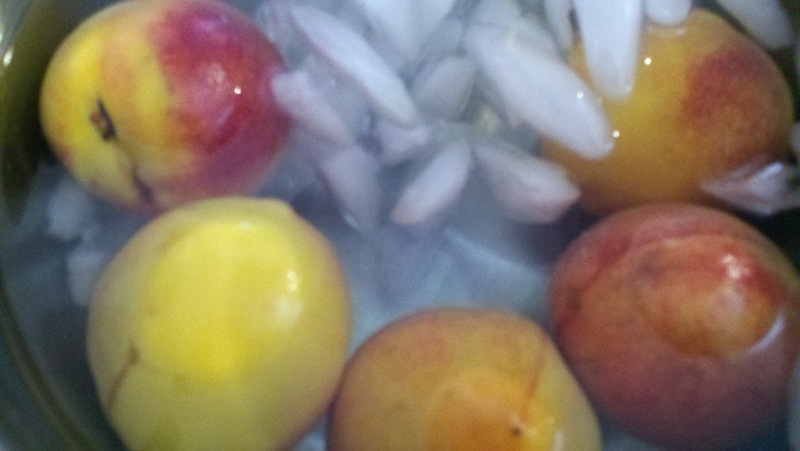 Remove peaches from boiling water with a slotted spoon and place them in ice water. Easy right! You can save the peels to make peach honey if you choose or something else incredibly wonderful. Enjoy! Wow, those look good. Remind me which you-pick you go to, please. I definitely would love some fruit. Hi GardenMom! The Berry Patch Farm is my favorite. if you like black berries they have some the size of quarters and they are delicious.